William Cavendish was born 10 January 1783 to George Augustus Henry Cavendish, 1st Earl of Burlington (1754-1834) and Elizabeth Compton (1760-1835) and died 15 January 1812 of unspecified causes. He married Louisa O'Callaghan (1779-1863) 18 July 1807 . Notable ancestors include Charlemagne (747-814), William I of England (1027-1087), Hugh Capet (c940-996), Alfred the Great (849-899), Henry II of England (1133-1189). Ancestors are from the United Kingdom, Ireland, France, England, Germany, Russia, Ukraine, Spain, Portugal, Belgium, Israel, Hungary, the Netherlands, Italy, Turkey, the Byzantine Empire, Sweden, Belarus, Switzerland. William Cavendish (10 January 1783 – 15 January 1812) was an English politician, the son of Lord George Cavendish, later Earl of Burlington. 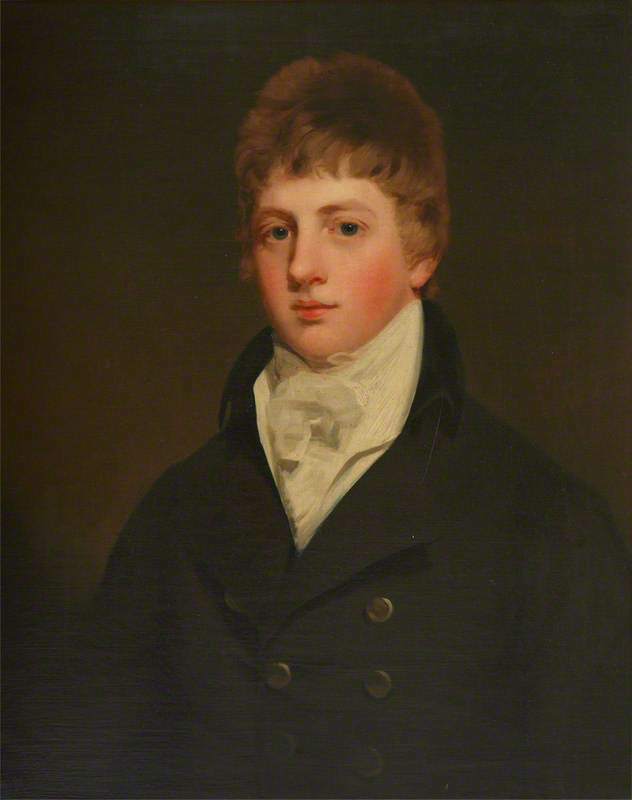 William predeceased his father in 1812; his father was subsequently created Earl of Burlington in 1831, a title which passed to William's son William, who also succeeded as Duke of Devonshire. 26px This article about a Member of the Parliament of the United Kingdom is a stub. You can help by expanding it. This page uses content from the English language Wikipedia. The original content was at William Cavendish (politician). The list of authors can be seen in the page history. As with this Familypedia wiki, the content of Wikipedia is available under the Creative Commons License.